I'm re-writing (mostly cramming as much info as I can inside as little space as I can afford while still being understandable by people who already know the 3LBB rules) OD&D/Underground Adventures (it does have house rules and interpretations) for practical purposes and, well, fun. I managed to cram everything "Men & Magic" into two pages, as you can see below. I cheated by not including magic spells since I use Wonders & Wickedness/Marvels & Malisons. Delta's Target 20 means I don't need charts anymore. 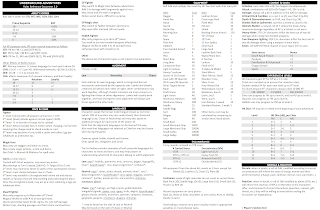 Next step (after re-writing the Dragon Magazine Crits & Fumbles Charts and Seven Voyages' Zero Hit Points Table to fit the next two pages) is the Monster List (I'll probably use Delta's modifications since his math is superior to the original version of the game) and the Treasure Generator (not sure if there is a perfected alternative version to RAW around the internet, I'll have to look around). 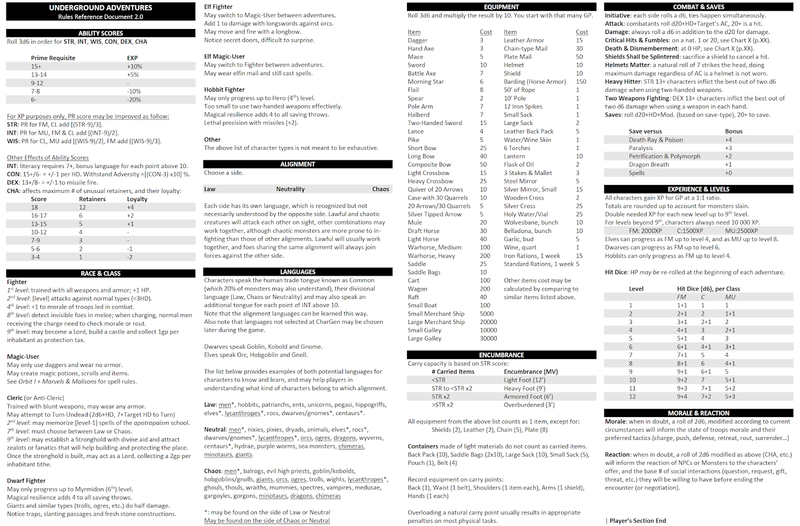 Hopefuly, I can make the three little brown books fit into around 15-30 pages, and print the final result as one "rules-light" booklet, proving my earlier point while having a cool and easy-to-carry homebrewed version of the best game in the world. Underground Adventures PDF & Other Useful Stuff!